* A copy of the document uploaded to a certificate will also go produce a copy within the documents area of the property, unit or tenancy. 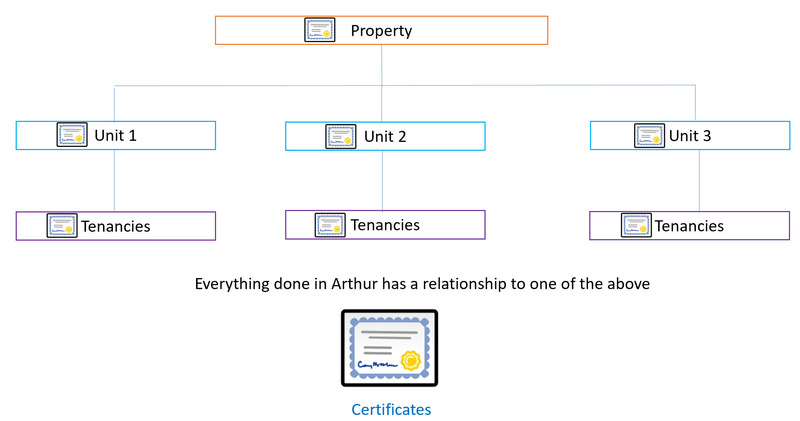 A copy of the certificate document will also be placed into the documents folder. Create a certificate report. This section is linked to creating a report .